According to some embodiments of the invention, the convenience of lounge, pool, and patio furniture is increased by providing adjustable armrests that do not require cumbersome adjustments in order to reposition the armrest. According to some embodiments of the invention, an additional pair of armrests may be attached to existing conventional chair designs that have only one pair of armrests in order to increase the utility of the chair, which may be especially useful for lounge chairs, patio furniture, chaise lounges, and the like. According to other embodiments of the invention a lounge chair includes armrests that rotate toward and away from a person sitting in the chair, armrests that remain horizontal as the chair is repositioned, and platforms to support the arms of a person lying in the chair. My name is Sandi, inventor or this innovative redesign of traditional uncomfortable lounge chairs. I have acquired two patents for the ABSOLUTELY UNIQUE invention. 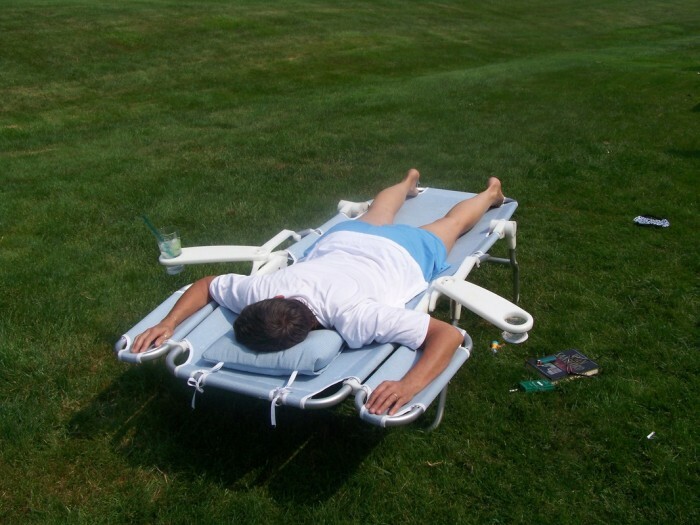 For you sun worshipers out there, My Sun Chair solves the age old questions of "what do you do with your arms when you want to roll over and tan your back." On traditional lounge chairs this meant hanging your arms over the side to rest on the ground or even more uncomfortable, raising them above your head leaving your hands dangling over or gripping the top of the chair. With my UNIQUE design, you simply turn out the "wings" on the upper sides of the chair and you have a very COMFORTABLE place to rest them. When you are done using the "wings", simply fold them back behing the chair. 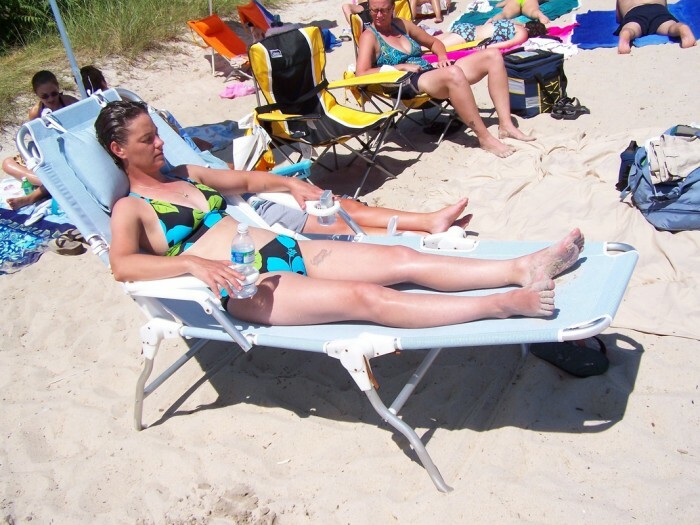 If you are a shade lounger or like to have the latest technology device with you My Sun Chair has a NEW FEATURE for you too! Traditional chairs have stationary lower arm rests. 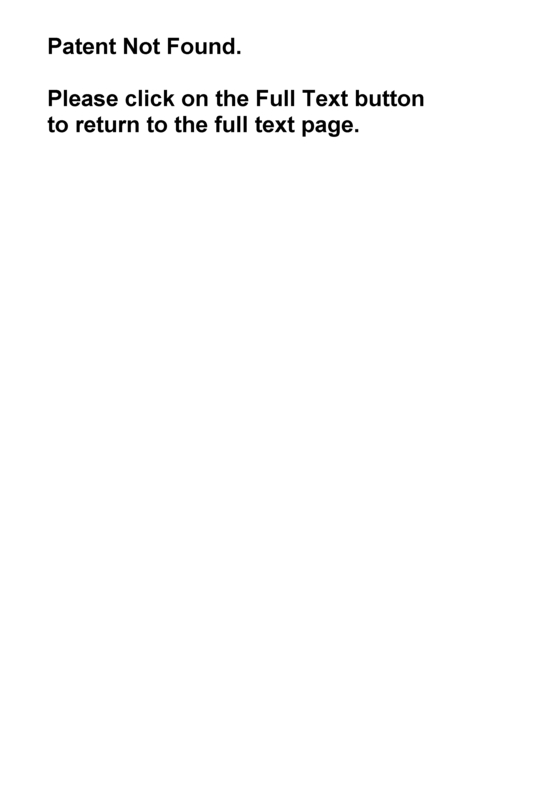 With my new design, the arms rotate back and forth so you can read, use your device by bringing the arm rest closer together or farther apart. Oh, and did I mention that My Sun Chair is more durable, has two cup holders, is higher up off the ground and wider than tradional lounge chairs. Among the many uses it can be used as a sleeping cot or take along to any outing or event. 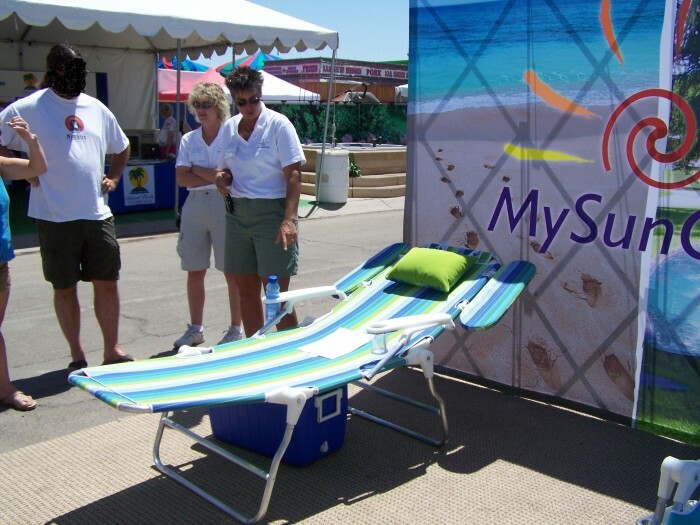 I have presented My Sun Chair at four home shows with many inquires as to when we will have inventory on store shelves and where to purchase one. 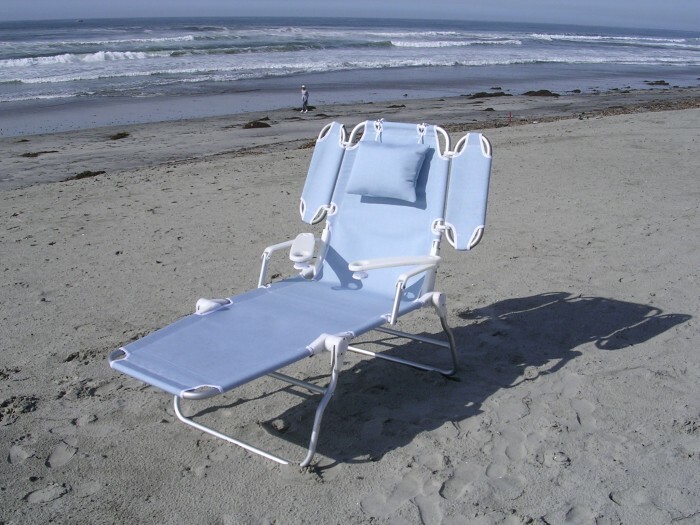 My Sun Chair would be a benefit not only to public consumers but major cruise lines, vacation resorts, golf courses, etc. Home Show locations included Phoenix, AZ; Los Angeles, CA; Chicago, IL and Las Vegas, NV all of which where Home and Garden Shows. Also, this was featured on a morning news show in Phoenix, AZ at a Lucky Napkin convention for entrepreneurs. Go ahead and check out the features and functions at my website. You will not be disappointed. 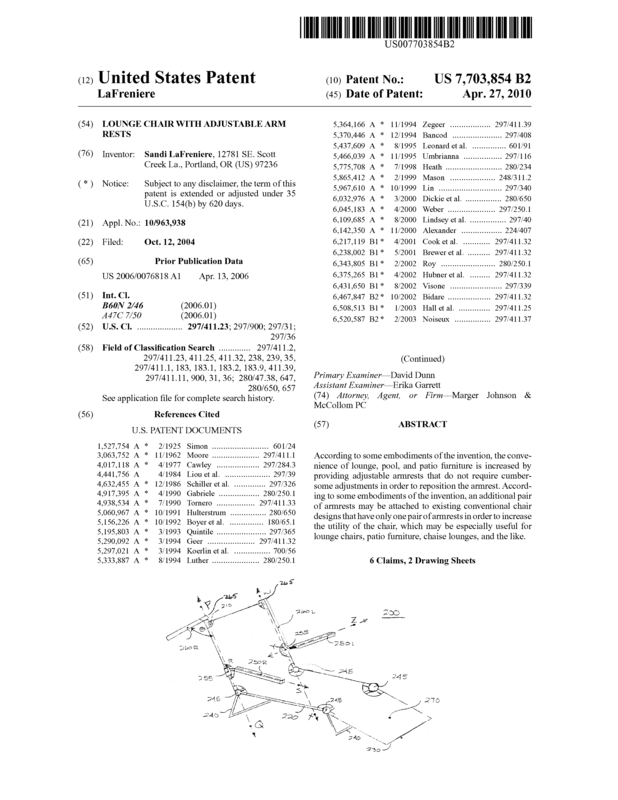 Page created at 2019-04-25 4:41:46, Patent Auction Time.